I once came across the most powerful speech I have ever heard in my life and this speech was given by a charismatic leader,co-founder of the cutting-edge technology company called Apple who died few years ago called STEVE JOBS.He titled his speech "how to live before you die" as he was addressing to Stanford University graduates on June 12,2005.I wish to write the whole speech but trust me,it is as long as it can be so,I decided to extract some useful parts of the speech and share it with you. He says,"You have to trust in something-your gut,destiny,life,karma,whatever.This approach has never let me down,and it has made all the difference in my life".He continues,"Your work is going to fill a large part of your life,the only way to be truly satisfied is to do what you believe is great work.And the only way to do great work is to love what you do.If you haven't found it yet,keep looking.Don't settle.As with all matters of the heart,you will know when you find it.And likely any great relationship,it just gets better and better as the years roll on.So keep looking until you find it. "When I was 17,I read a quote that went something like,'if you live each day as if it was your last,someday you'll most certainly be right'.It made an impression on me and since then,for the past 33years,I have looked in the mirror every morning and asked myself; "if today were the last day of my life,would In want to do what am about to do today?and whenever the answer has been "no" for too many days in the row.I know I need to change something." " Remembering that I'll be be dead soon is the most important tool that I've ever encountered to help me make big choices in life.Because almost everything-all external expectations,all pride,all fear of embarrassment of failure-these things just fall away in the face of death,leaving only what is truly important.Remembering that you are going to die is the best way I know to avoid the trap of thinking you have something to loose.You are already naked.There is no reason not to follow your heart." "No one wants to die.Even people who want to go to heaven don't want to die to get there and yet death is the destination we all share.Your time is limited,so don't waste it living someone else's life.Don't be trapped by dogma-which is living with the results of other people's thinking.Don't let the noise of others opinion drown out your inner voice.And most important,have the courage to follow your heart and intuition.They somehow already know what you truly want to become.Everything else is secondary." 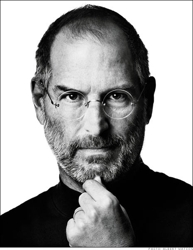 He finishes his speech by saying "STAY HUNGRY.STAY FOOLISH"